Oh.... Me really really got long long long time no come here already!!! 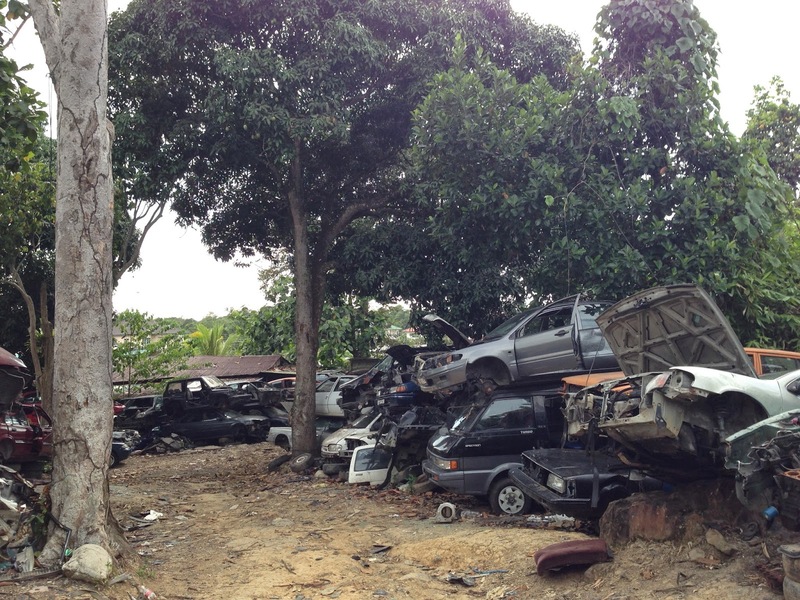 I think I got nearly 20 years didn't step inside here the HolandChun at the Limau Manis there.. this is also the only biggest Junkyard in Brunei. I think inside got more than 500 cars there. 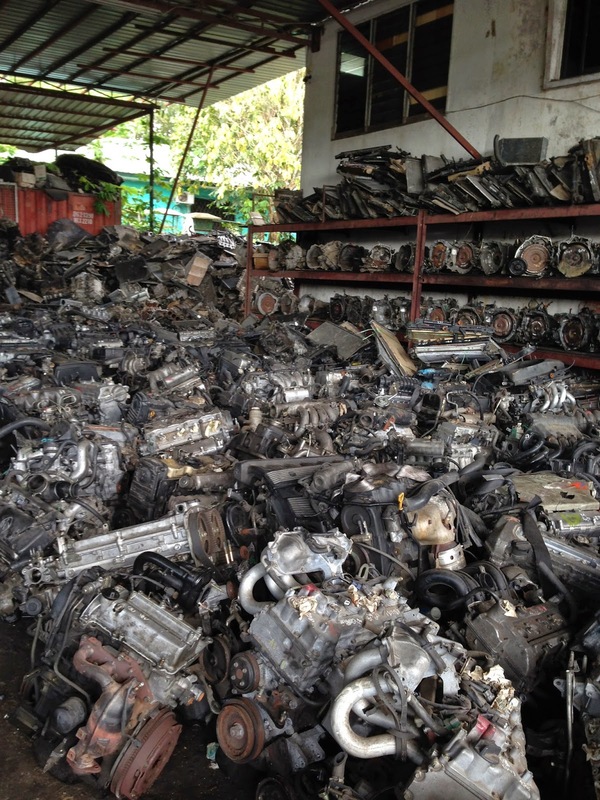 If is not because of my #HulkJero I also not coming here to look for my parts~ Coming here you have to tahan sweat, hot, and free feeding their mosquitoes there~~ Some of the parts you have to go deep in the junkyard and look for yourself..mmm ya a bit like Self service lah! Most of the parts here are for old cars, if you can't find your old car part in the shop then you want to come here and try your luck so this place definitely is not for a lady to come one!! Me today I'm lucky to found the door rubber coz my Hulkjero both side already weak and during raining water come in from the door upper part! Wet my car seat like swimming pool... Hope this door frame rubber can stop the water coming from the top lah! Engine, Gearbox, Regulator, Suspension macam-macam ada lah!! Sometime I have a big question mark.. How do they remember what part is where, What part still have and how do they bring in and stake up the cars one!! 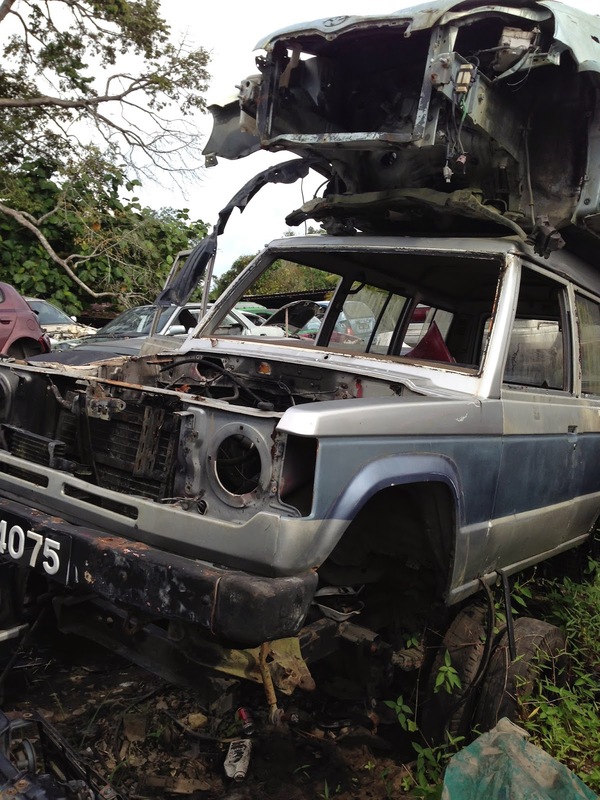 Do you find you old car here??? This place is huge... and I sweat like cow now!!! I only worries one thing here is got Bees or snake hiding in the car or not! Check the place with the Bird Eye View!!! As you can see how big and many cars there!